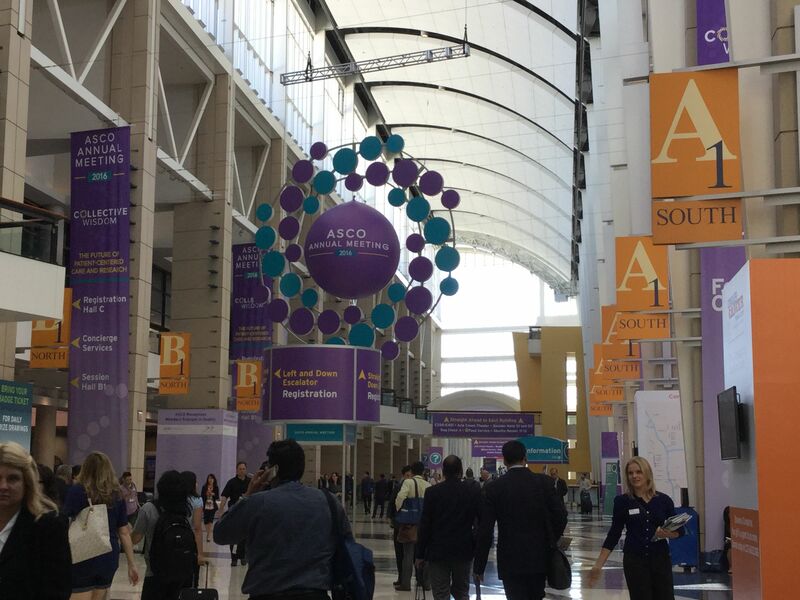 The American Society of Clinical Oncology (#ASCO16) annual meeting kicked off today as more than 30,000 researchers from around the world converged in Chicago to share their latest clinical findings on treatments and diagnostics for all cancers, and to exchange ideas about how to improve outcomes for cancer patients. Putting patients at the center of cancer care and research is this year’s theme at ASCO, something we at The Leukemia & Lymphoma Society (LLS) try to do every day. Sprinkled among the scientific presentations of clinical data will be many educational discussions and lectures about better meeting the needs of the patient. And a buzz phrase we will be hearing more and more, “Patient Reported Outcomes,” is also on the agenda. Recognizing the importance of how patients feel during their treatment, and getting them to self-report is rapidly becoming a part of every discussion in oncology today. The FDA is encouraging the use of patient-reported outcomes in clinical trials. How well does the patient tolerate the therapy and are they are experiencing pain or fatigue or other debilitating side effects? All of this is being taken more into consideration as new therapies are considered for approval. Here at LLS we are conducting our own study about patient preferences, as we discussed in an earlier blog here. On Sunday, an education session entitled “Integrating Patient Reported Outcomes in Cancer Clinical Trials and Regulatory Review” will touch on the very subject, as those in the research and regulatory communities grapple with how to implement and standardize this important initiative. Now on to the science at ASCO. Immunotherapy – harnessing the patient’s own immune system to fight cancer – continues to stand out as the most talked about advance of the past few years in cancer treatment. These approaches to therapy are already showing markedly improved outcomes for patients with blood cancers and solid tumor cancers. The two approaches garnering the most attention are Chimeric Antigen Receptor T-cell therapy (CAR-T) – in which a patient’s own immune T-cells are genetically engineered to home in on the cancer cells; and immune checkpoint inhibitors, which inactivate the proteins that put the brakes on the immune system. The potential for cancer vaccines is also generating some excitement. The CAR-T approach was first developed to treat patients with blood cancers, acute lymphoblastic leukemia (ALL) and chronic lymphocytic leukemia (CLL), and is now being tested in several types of solid tumor cancers. LLS has invested millions of dollars in this work for the past two decades. Immune checkpoint inhibitors have been approved for several types of cancers, including melanoma and some types of lung cancers, and one was recently approved to treat patients with relapsed Hodgkin lymphoma. All of these will be topics for presentations throughout the next few days. Targeted therapies – precisely going after the genetic mutation that drives the cancer - also continue to be a topic of interest. Many new therapies for patients with CLL were approved in the past two years and researchers continue to study these to find ways to make them even more effective. And while the standard of care for patients with acute myeloid leukemia (AML) has remained largely unchanged in 40 years, with the same two chemotherapy agents being applied, researchers will be presenting their early clinical data on some investigational targeted therapies going after several different gene mutations in AML that are showing promise. AML is a priority for LLS as we lead the charge to go on the offensive against one of the most deadly blood cancers with a major collaboration we will be sharing more about in the coming months. Finally, the explosion of new therapies for myeloma over the past year made a lot of news, and now the focus is on how to optimize these, and what combinations of the new and the old will be of utmost benefit to the patient. A highlight of the conference will be an address by Vice President Biden on Monday afternoon. This should prove to be a standing-room only event at which the VP will discuss his Cancer Moonshot Initiative. Tune back in to this blog over the next few days for more from #ASCO16.